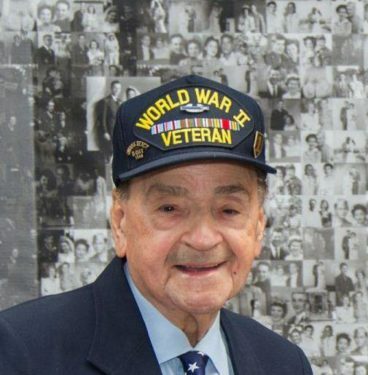 Rocco Moretto, a former employee of The Tablet and an American war hero, died in Massapequa Park, L.I., Aug. 27. He spent many months of the past few years at the VA Hospital in St. Albans, Queens. He was 94. Moretto, a native of Hell’s Kitchen in Manhattan and a long-time member of St. Rita’s parish, Long Island City, landed in the first wave on Normandy Beach in June, 1944, as a member of the infantry unit known as the Big Red 1. He also fought in the Battle of the Bulge. Surviving the entire war without a wound or a sick day, he and another of his company were the only two survivors of that initial landing. When he returned to the States, he worked as a baggage supervisor at Pennsylvania Station in Manhattan. When he retired, he came to work for The Tablet, where he ran the mailing operation. He was well decorated for his military service, receiving the Legion of Honor Award from the French government on the 60th anniversary of the Normandy invasion. In 2013, the Veterans of Foreign Wars Post in Astoria was renamed the Rocco Moretto Post. A Mass of Christian Burial was celebrated Sept. 1 at St. Rose of Lima Church, Massapequa Park. Burial was in St. John’s Cemetery, Middle Village. He is survived by his son, John. Rest in peace and thank you for your service and your bravery.